Recently purchased a Motorola XOOM, but aren’t exactly sure which games you want to start crushing on with that ridiculously powerful Tegra 2 chip? 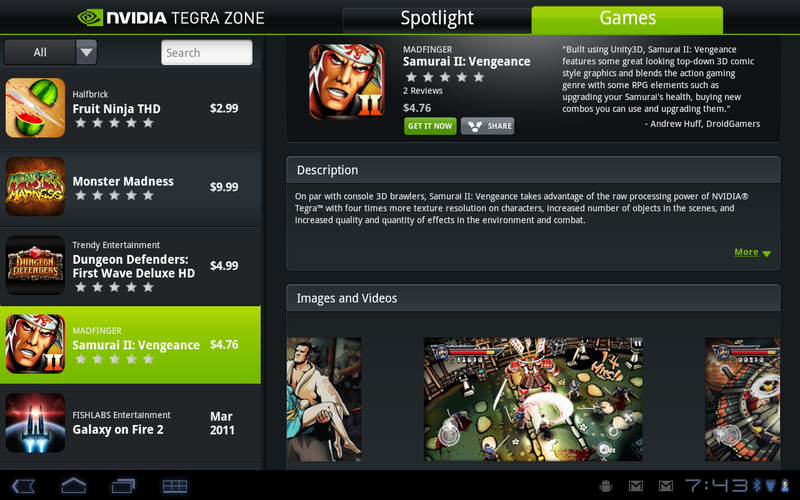 Don’t worry, NVIDIA has you covered with their new app called, TEGRA ZONE. 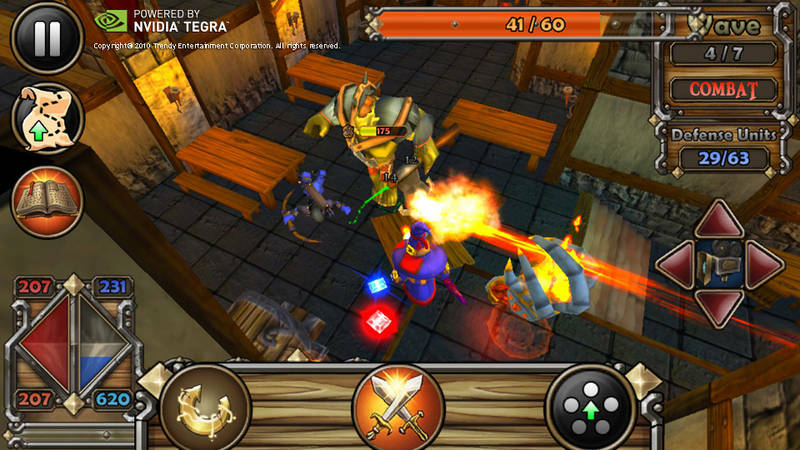 The app has one purpose, and that’s to get you in touch with not only the best games on the Android Market, but the ones that can fully utilize all that the Tegra 2 has to offer. When you think of a market that highlights only the best stuff in an amazingly clear way, this is exactly what you probably envisioned. 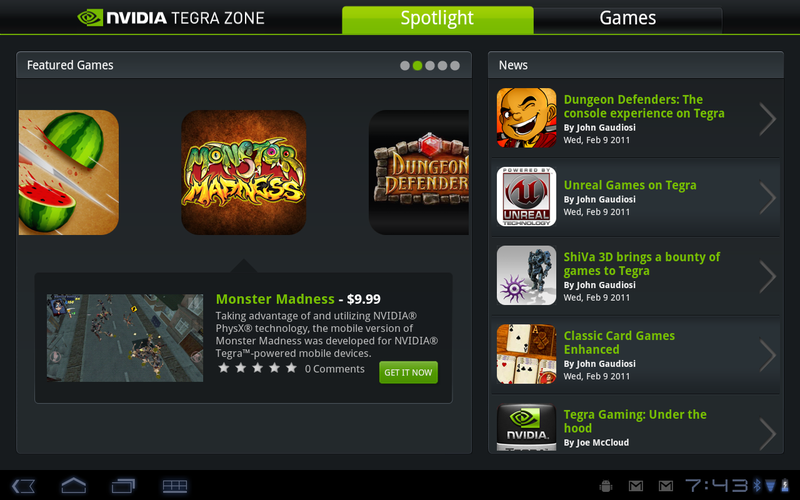 The app is free to download, brings you reviews and comments, highlights news related to Tegra 2 gaming and most importantly, redirects you back to the original market to finalize your purchases. This is the way app markets should be implemented. 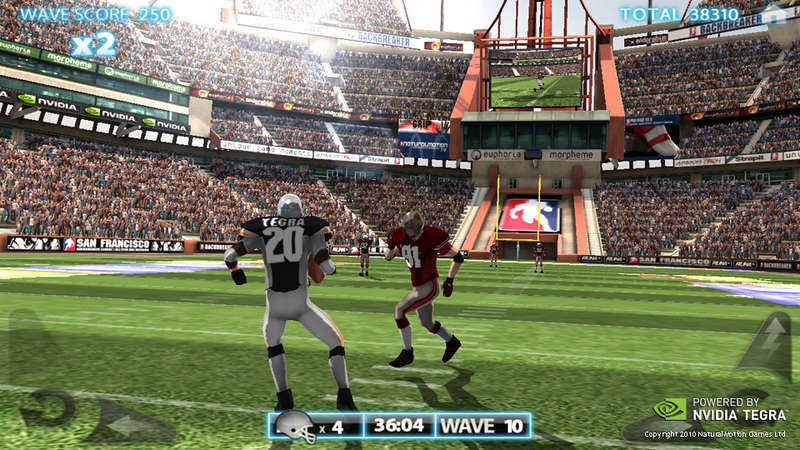 Full release, list of games and a bunch of pics after the break. 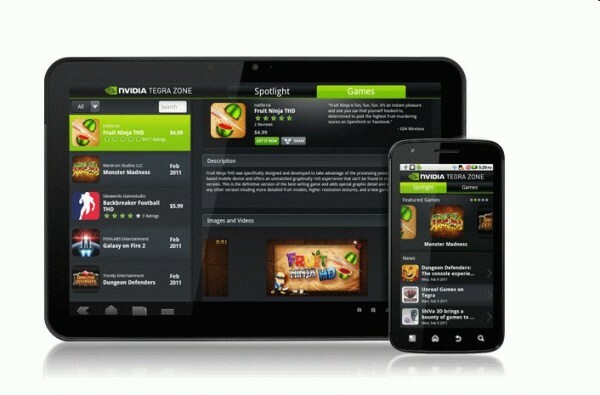 SANTA CLARA, CA — (Marketwire) — 03/01/2011 — NVIDIAannounced today that the Tegra Zone™ app is now live on the Android Market, providing a one-stop destination for consumers seeking the richest games for their super phone or tablet powered by the NVIDIA® Tegra™ 2 mobile super chip. Introduced over the past several months in a variety of super phones and tablets, the Tegra 2 super chip is finding a growing market, particularly among those interested in console-quality gaming on their mobile device. It is built with the world’s first mobile dual-core CPU — which unleashes the best Web experience, with up two-times faster browsing and support for full Adobe® Flash® Player hardware GPU acceleration, plus unprecedented multitasking capabilities. 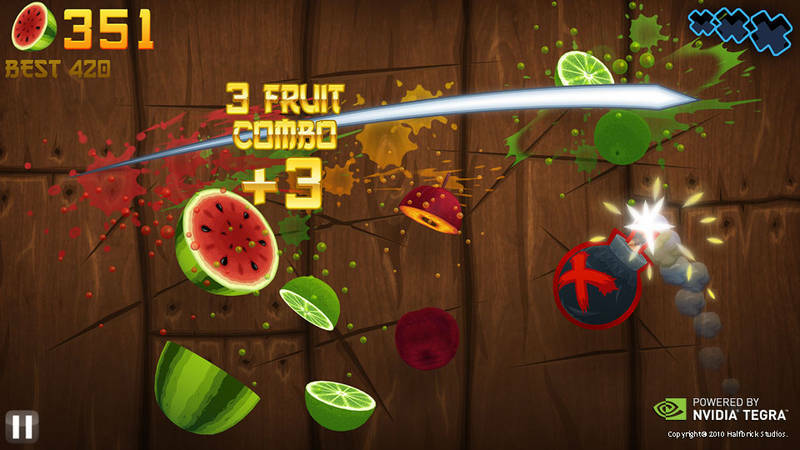 It also includes an NVIDIA GeForce® GPU — which provides stunningly rich visual experiences and console-quality gaming. 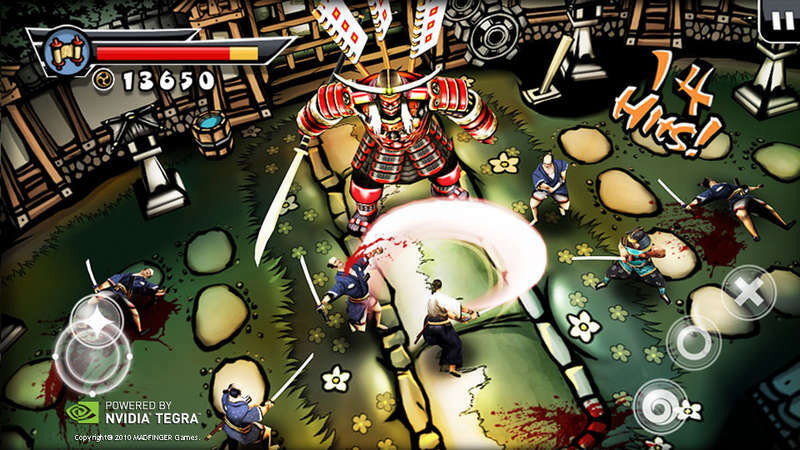 Samurai II: Vengeance, by MADFINGER Games: A hack-and-slash action game with stylized manga graphics and quick, bloody gameplay. 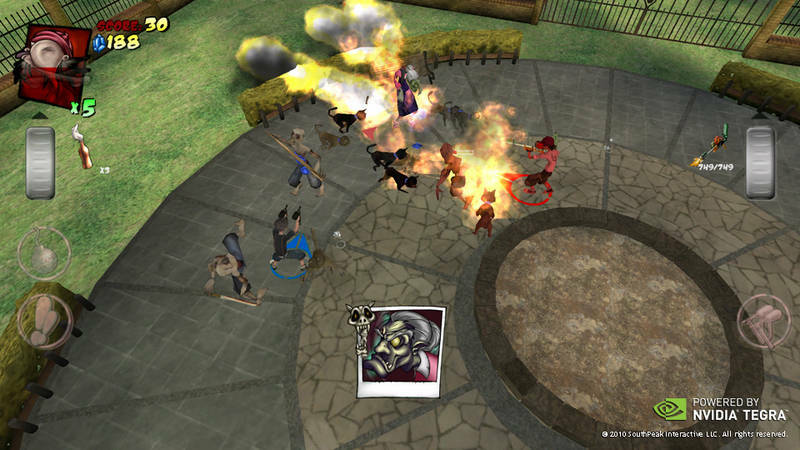 On par with console 3D brawlers,Samurai II: Vengeance takes advantage of the raw processing power of Tegra 2 with four times more texture resolution on characters, increased geometry for more realism, and completely redesigned knockdown moves. 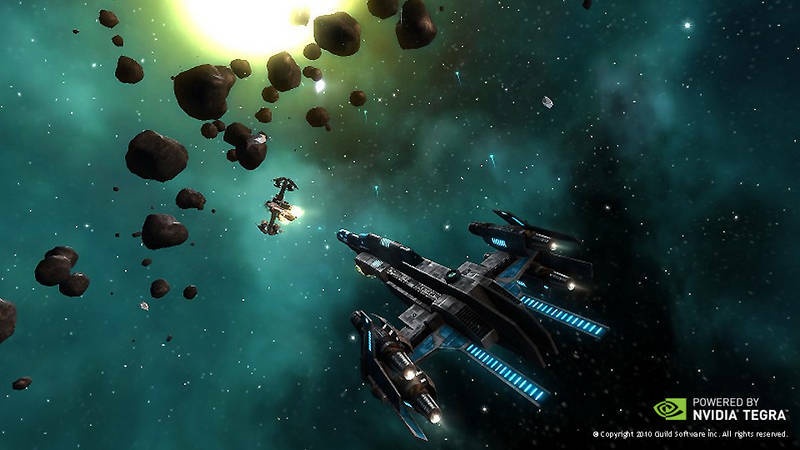 Vendetta Online, by Guild Software: 3D space combat, massively multiplayer online role-playing game (MMORPG) that permits thousands of players to interact as the pilots of spaceships in a vast universe, available for the first time on a mobile device. 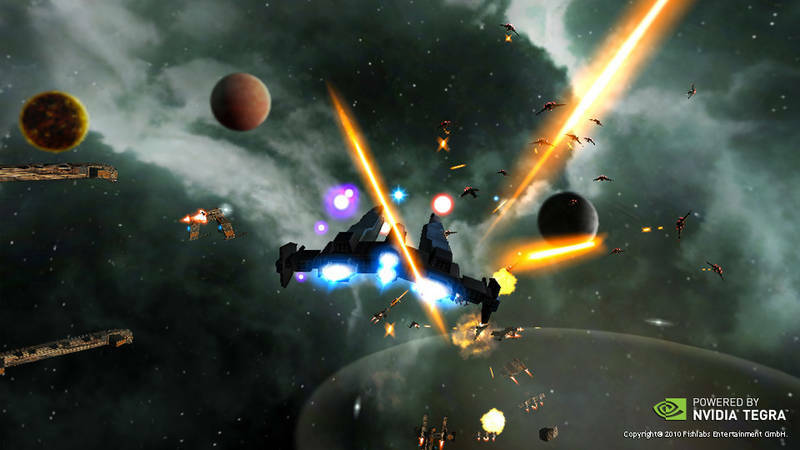 The Tegra super chip-enhanced version is the first cross-platform space MMO and allows gamers to play against PC players and other mobile players in the same universe. – Ben Barjarin, Principal at Creative Strategies Inc.
NVIDIA (NASDAQ: NVDA) awakened the world to the power of computer graphics when it invented the GPU in 1999. 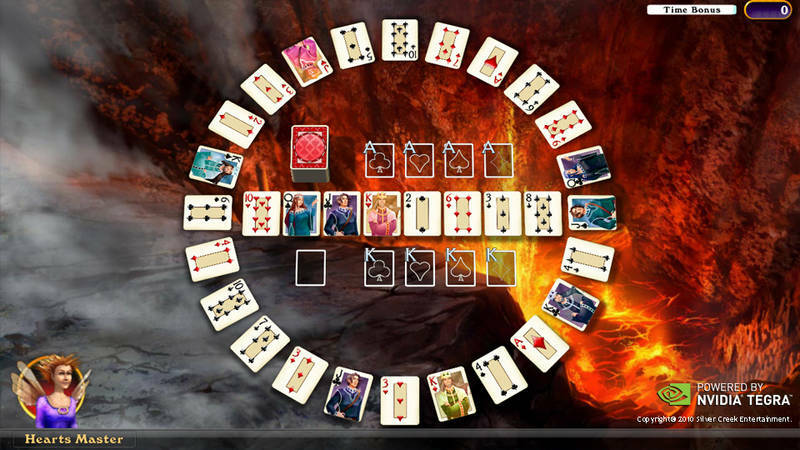 Since then, it has consistently set new standards in visual computing with breathtaking, interactive graphics available on devices ranging from tablets and portable media players to notebooks and workstations. NVIDIA’s expertise in programmable GPUs has led to breakthroughs in parallel processing which make supercomputing inexpensive and widely accessible. The Company holds more than 1,700 patents worldwide, including ones covering designs and insights that are essential to modern computing. For more information, see www.nvidia.com.